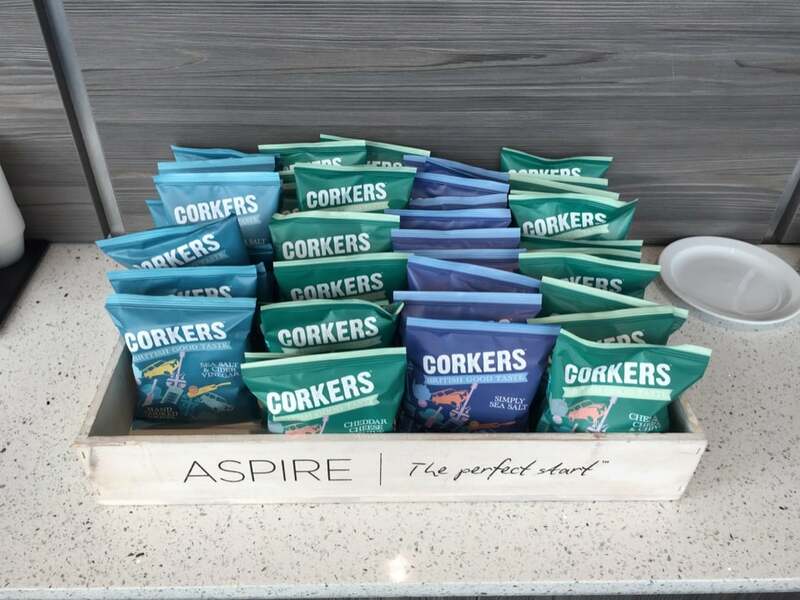 In this trip report, I review the food and drink at the Aspire Airport Lounge at London Heathrow Terminal 5. On my last trip to Monaco I flew into Nice from London Heathrow Terminal 5 in Euro Traveller (BA Economy), as I wasn’t fast enough to snap up 3 Business or Club Class tickets with my Avios. I collect Avios shopping for groceries and via my credit cards; you can read my tips on collecting Avios. I did not book my tickets far enough in advance so the Business Class seats can run out. 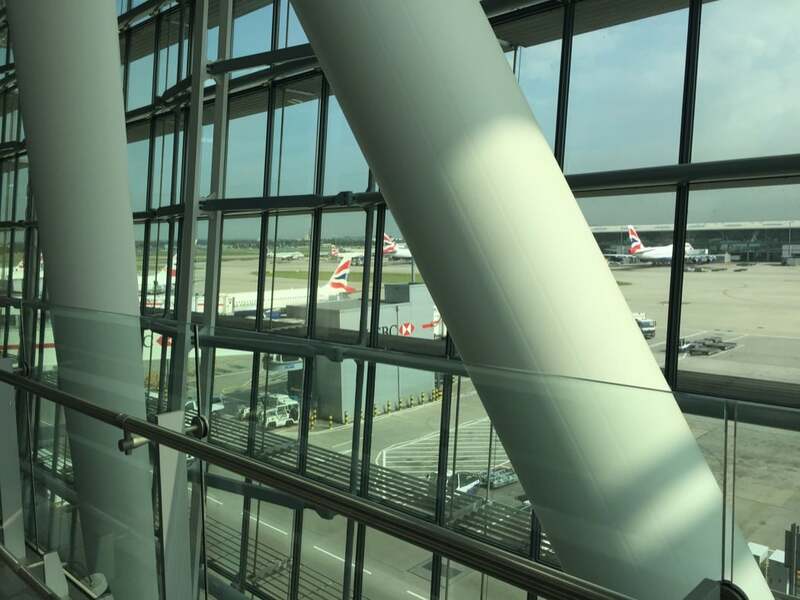 As I was flying out of Heathrow Terminal 5 and I was unable to use the array of British Airways lounges at Terminal 5, so I booked into the Aspire Lounge in Terminal 5 instead, which is a busy lounge which costs £40 on the door. You can pre-book the lounge online (for less), or you can access it with your Priority Pass for free if you have a credit card that offers a free Priority Pass. 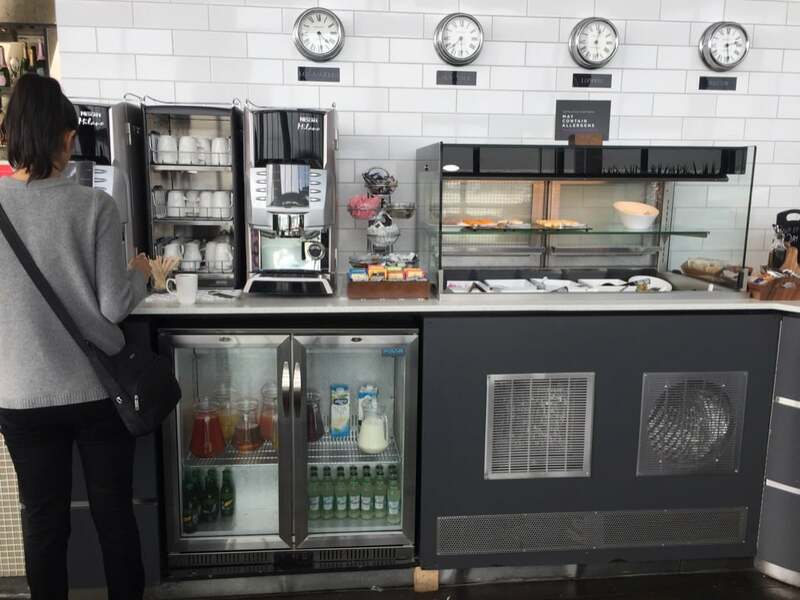 I have already reviewed the Aspire lounge in Terminal 5 in detail but not the food and drink. My overall impression this time was that it was extremely busy; initially, we could not find a seat and had to share a table. The quality of food & drink was also nowhere near that found in the British Airways Galleries Club lounges at Heathrow. 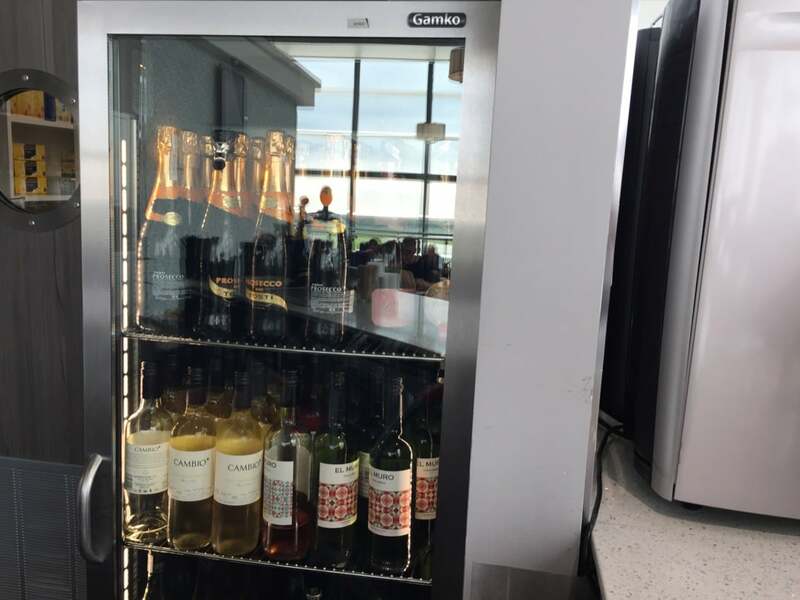 This lounge has convinced me that it IS worth upgrading to Club Europe (Business Class) on British Airways on outward bound journeys from London Heathrow as this gives you access to the excellent BA Galleries lounges. What is the free food like? 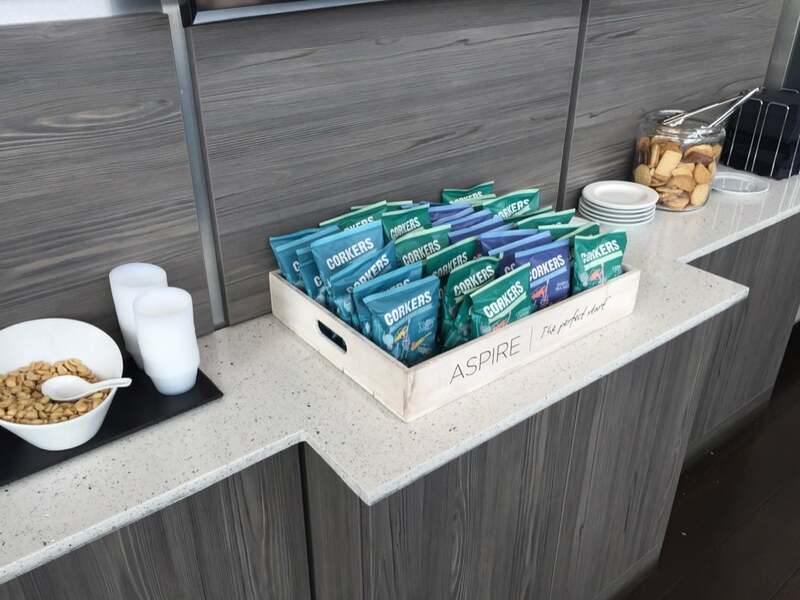 The complimentary food at the Aspire Airport Lounge, Heathrow Terminal 5 was made up from a self-serve buffet. 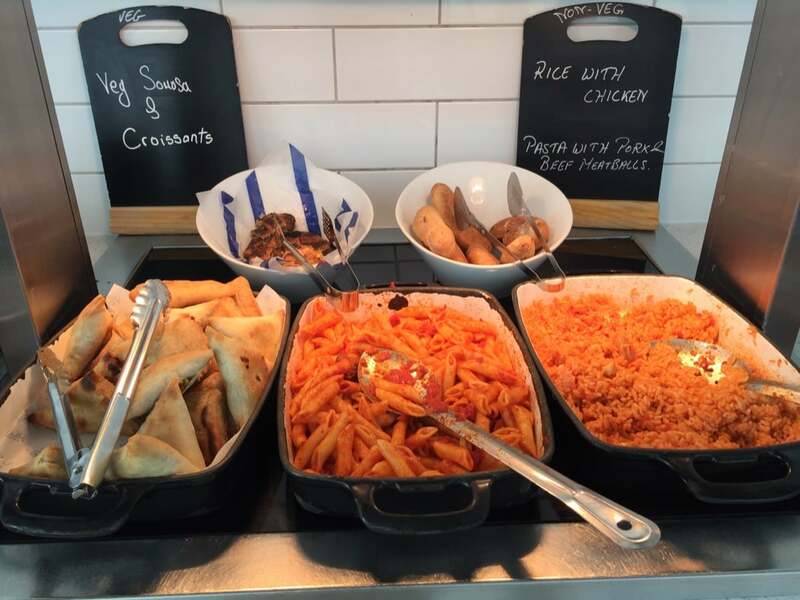 The hot food included a rice and chicken dish, a pasta and meatball dish along with vegetarian samosas and fresh warm bread rolls (see pictures above for more details). There was also tomato soup and some scones with clotted cream and jam. 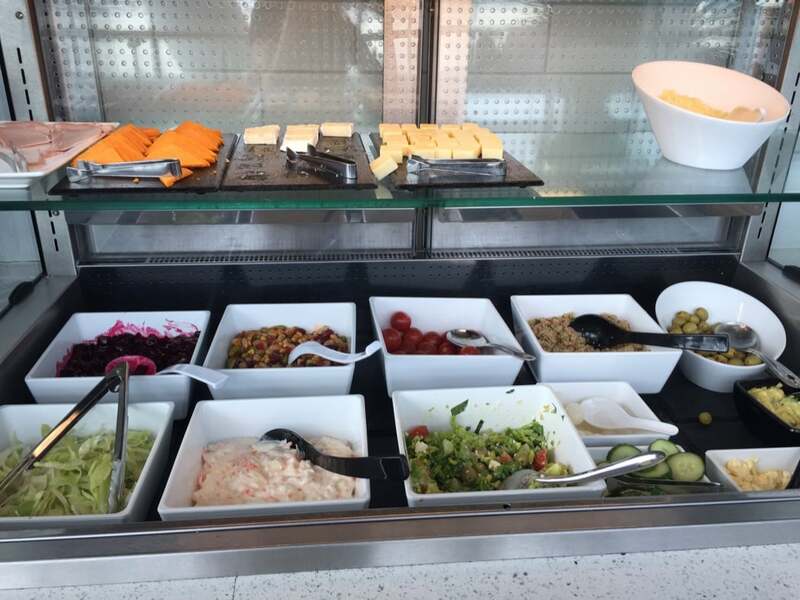 In the cold buffet, there was a variety of salads which I tried and were very pleasant along with olives, cheeses and hams. You could also have crisps (salted, cheese & onion and salt and vinegar), biscuits from a biscuit barrel or chocolate cake. What alcoholic and non-alcoholic drinks are available? 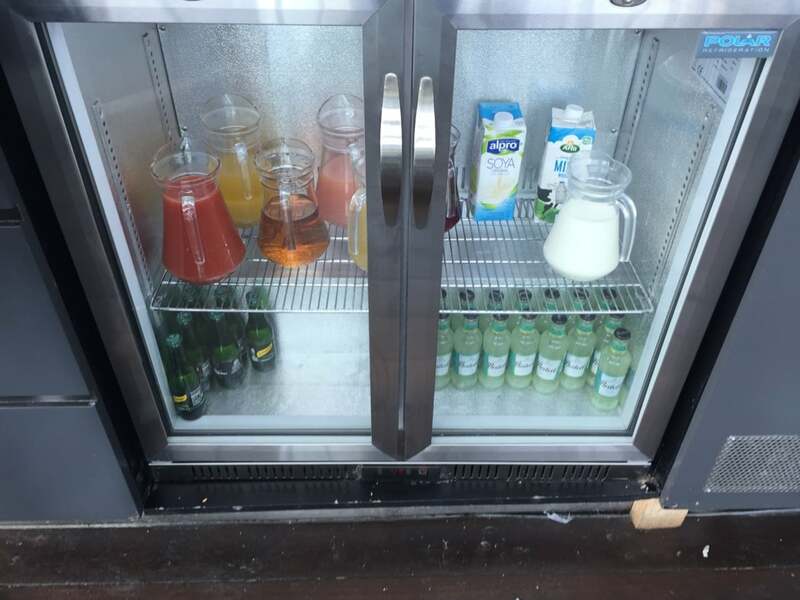 The complimentary non-alcoholic drinks at the Aspire lounge in Heathrow Terminal included a variety of juices, cokes and fanta, water and tea, coffee and hot chocolate from one of many machines dotted around. 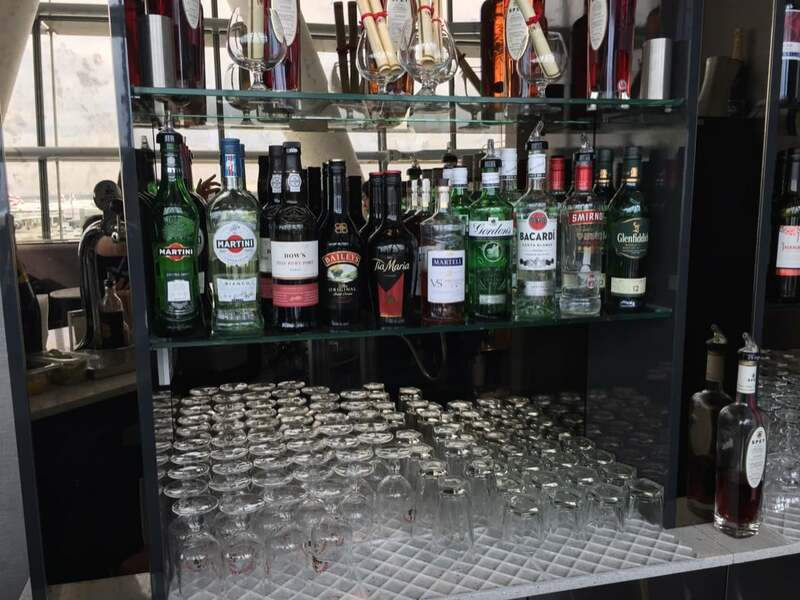 There was also a choice of alcoholic drinks including Prosecco, spirits including Baileys, Martini, Tia Maria, Gin, Bacardi, Port and Whisky. There were plenty of beers and wines available. 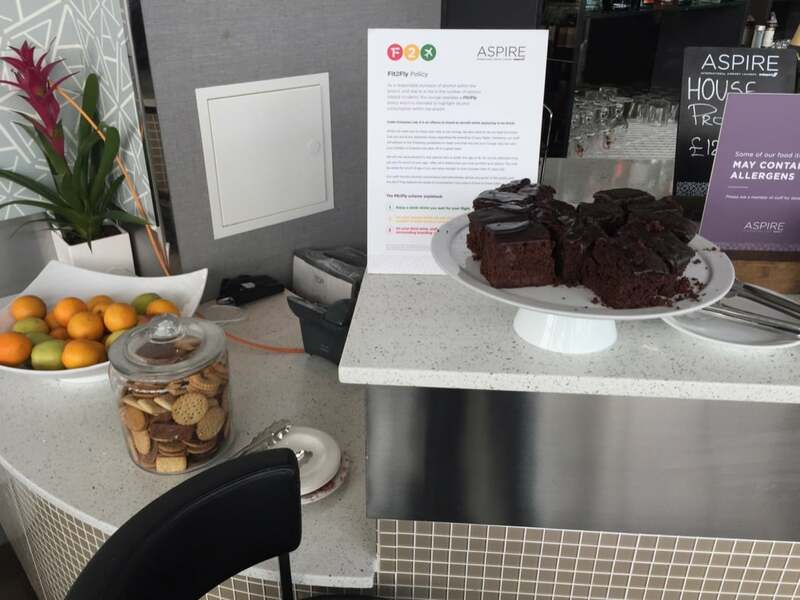 Is it worth paying for the Aspire Lounge At Heathrow? At an on-the-door cost of £40 per person, I am not convinced for myself and my family. 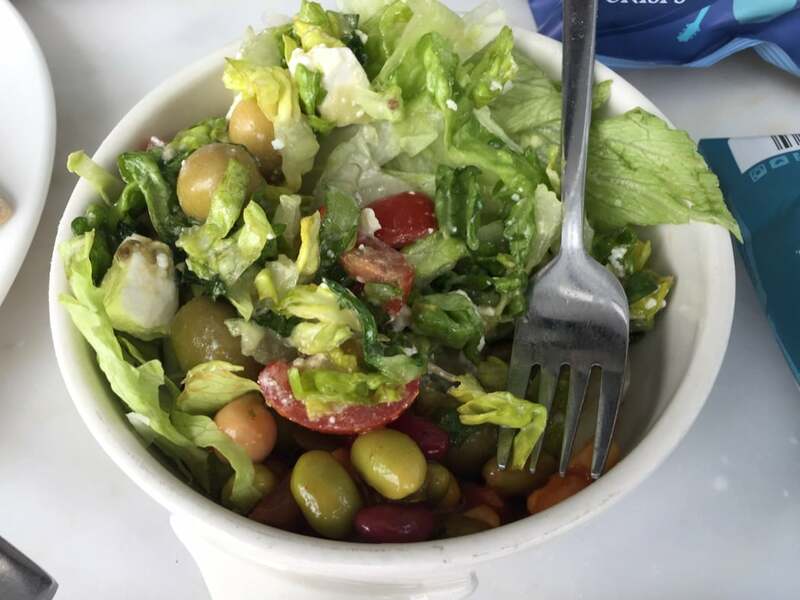 We had a tea and a salad with a couple of rolls, but what we ate would have come to under £10 each at the sandwich shops like Pret a Manger at Heathrow. 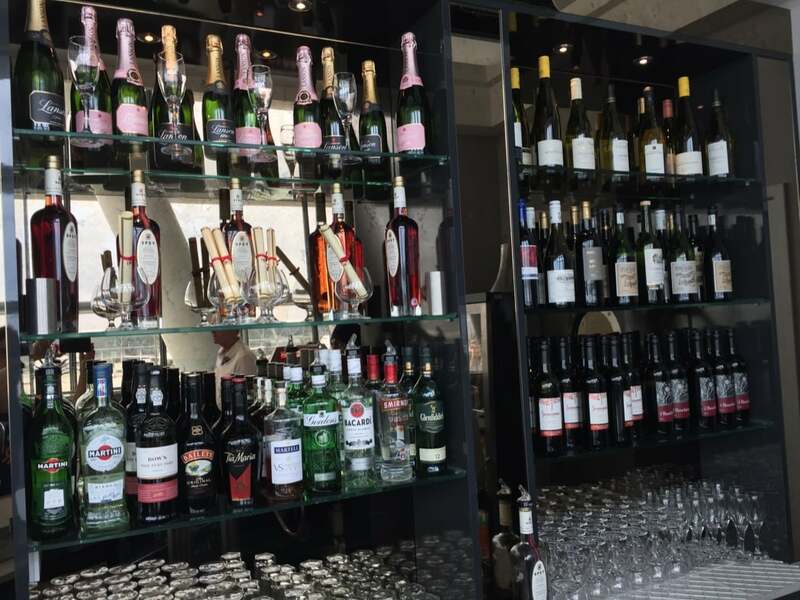 I can see that if you intend to make use of the alcoholic drinks along with the food that you could justify the price, but for me, as Heathrow T5 is such an impressive terminal, I am equally happy trying one of their restaurants pre-flight. If you have a Priority Pass then the lounge becomes cheaper or is free, in which case it is worth a try. 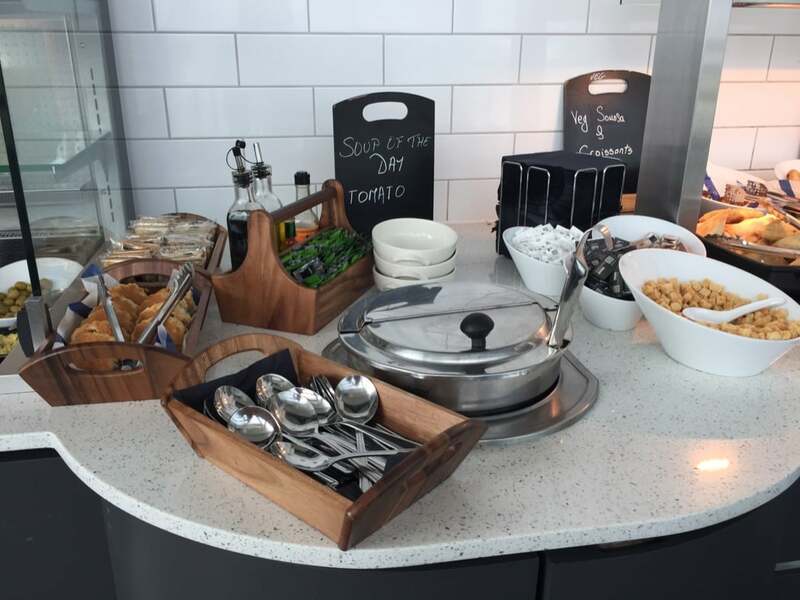 It is also worth noting that there are showers and a Spa in the lounge which you can use for an additional fee, but there are no toilets in the Lounge and you must exit the lounge to use the facilities shared by the rest of the airport.